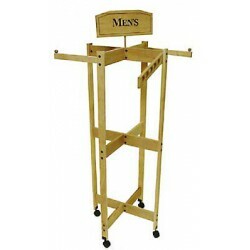 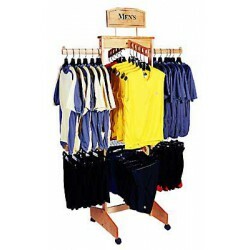 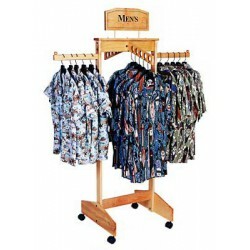 These wooden garment racks are very versatile and keep any clothing retail space from becoming stale. 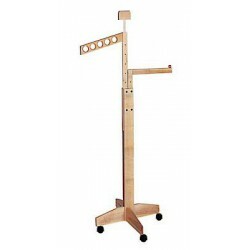 The accessories for these fixtures expand the displaying versatility even more. 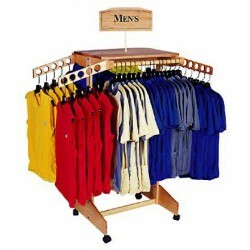 By using matching wall accessories, you can achieve a continuity that looks great and focuses the consumer on the products you are selling, not on a mismatched array of fixtures. 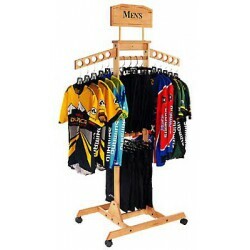 By adding a variety of rack heights to a clothing section, you can keep people moving into the space and expose them to more product.